Items donated for the food drive. Amy Engelberg, EVP/Chief Lending Officer, Ginger Martin, CEO and President, and Marilyn Bianco, VP Branch Manager with some of the items donated for the food drive. 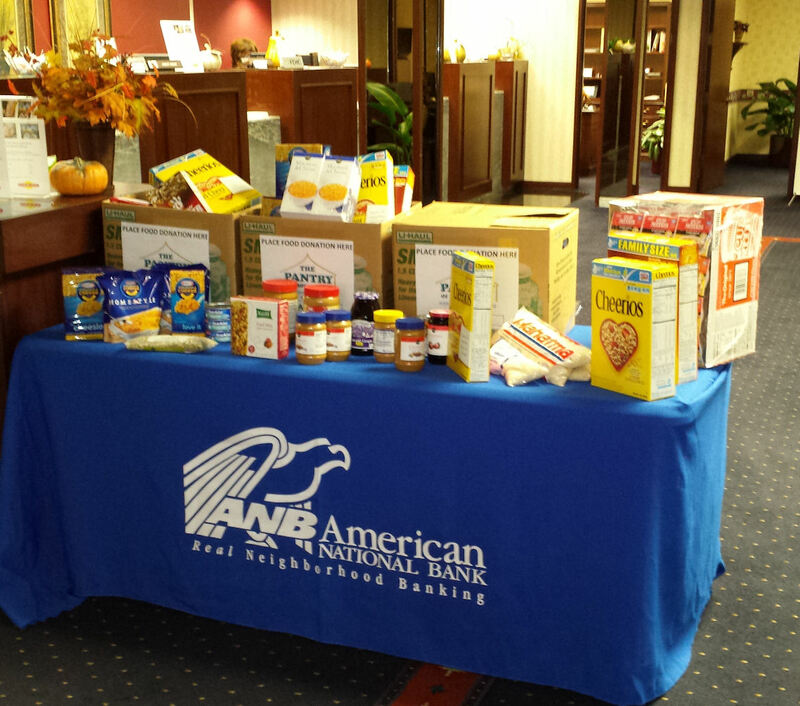 American National Bank’s food drive to support the Pantry of Broward was a huge success! Pantry of Broward supports seniors in our community on low fixed incomes and grandparents raising their grandchildren. Thanks to the generosity of our clients and team members we are making a big difference in the lives of these well deserving seniors. This entry was posted on Wednesday, October 2nd, 2013 at 8:14 pm and is filed under Uncategorized. You can follow any responses to this entry through the RSS 2.0 feed. You can leave a response, or trackback from your own site.